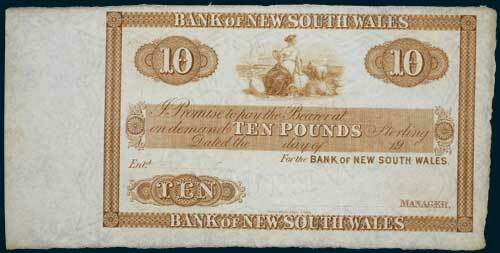 BANK OF NEW SOUTH WALES, unissued (specimen) ten pounds, no domicile, 19-, not numbered, imprint of Charles Skipper & East, London (Clifford C451). Nearly uncirculated. 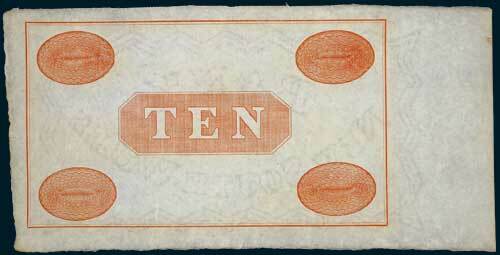 A type used in New Zealand after 1910.